It takes these sugar artists four days to make Pelino "Confetti", using a process that can never be completely industrialized. 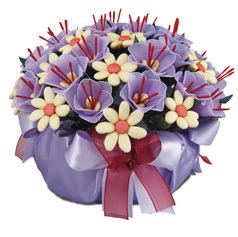 The centres of the candies (whether almonds, glazed fruits, chocolate, liqueur, anise seeds) are covered with sugar without the addition of starch which would make them heavy and affect the flavour. 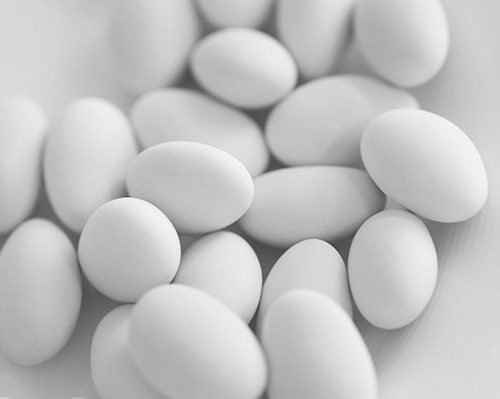 The best-known "Confetti" are the Jordan Almond or dragée, which contain almonds chosen from the finest Sicilian almonds (from Avola, near Syracuse). After having been peeled, the almonds are put in large rotating basins: liquefied sugar is poured in gradually in order to lightly coat the almonds. At the end of the day, the almonds must rest until the next morning when operations resume, culminating with perfect "Confetti".  Mario Pelino's sons, Alfonso and Olindo, have, little by little, modernized the entire enterprise while highlighting the traditional image of "Confetti" and their artisanal character. The centuries-old tradition has been preserved. 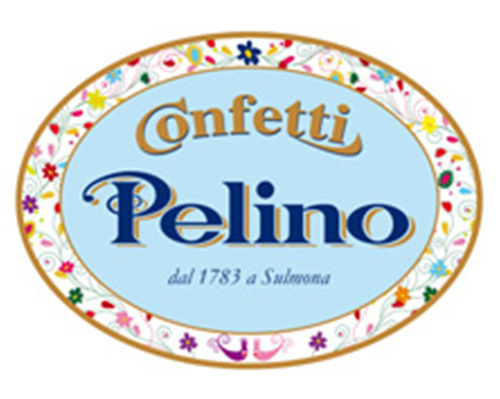 The Pelino family opened a museum, unique in the world, on the history of Sulmona "Confetti". It displays old documents as well as the original machinery used in the making of "Confetti", with the possibility of following the production process. At the same time, the "Pelino" trademark is now being sold in Italy and all over the world thanks to a network of franchises using the most modern sales techniques. The Pelino firm has obtained 12 "Grand Prix" and 31 gold medals, rewards for the quality of its production, quality which remains its primary objective. White for weddings, silver for twenty-fifth anniversaries, sky-blue or pink for christenings, red for graduations, green for engagements... smooth, textured, spherical, oval, teardrop, heart-shaped... with centres of almonds, hazelnuts, anise seeds, cinnamon sticks, rosolio (a sweet old-fashioned liqueur made of Tangerines), coffee beans, peanuts, pistachios, marzipan, chocolate... in party favours, flower arrangements, fruit baskets and other constructions of the confectioner's art and imagination. But until the Renaissance they - and other sweets - were made with honey. The introduction of sugarcane into European kitchens in the XVth century marked the beginning of the modern era for "Confetti". In the Renaissance, as in Antiquity, "Confetti" were not just for ceremonial use. They were real sweetmeats made of candied fruits, or, as we learn from a manuscript of 1504, with almonds, dried fruits, aromatic seeds, hazelnuts, pine nuts or cinnamon, covered with a hard coating of sugar. And they were habitually served not only at wedding banquets but also at many important meals. We find the first literary attestation of "Confetti" in Boccaccio's Decameron in the 1350's. The earliest testimonies of the high status and near ritual use of "Confetti" come from the late Middle Age and Renaissance. 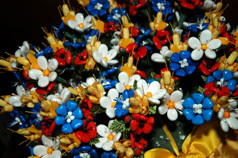 In 1487, according to chronicles of the period, more than two hundred and sixty pounds of "Confetti" were consumed at the banquet held the day after the wedding of Lucrezia Borgia and Alfonso d'Este, son of Ercole I, Duke of Ferrara. The use of "Confetti" really began to spread throughout Italy, along with the first European-grown sugar beets. It was in this period that the first "modern" "Confetti" factories appeared. Sulmona, in the Abruzzo region, had been the famous "Confetti" home for three centuries: in 1783 it became the acknowledged capital of "Confetti" thanks to the skill of a single family which manufactures "Confetti" according to a simple recipe that has remained unchanged. The Mario Pelino "Confetti" factory, located in a building on via Introdacqua, is characterized by its typical chimney that sends forth the sweet scent of glazed sugar. This establishment, which is responsible for the fame of "Confetti" in Italy and the world, still has a patina of the antique. Fifty workers produce the little sweets on machines that are reminiscent of the past. All the members of the Pelino family are occupied full time in the activity which makes them the custodians of the tradition started in 1783 in the shop of Bernardino Pelino and handed down from father to son (Panfilo, b. 1794, Franceso Paolo, b. 1833, Alfonso, b. 1853, Mario, b. 1892, Alfonso & Olindo, 1922, 1924) to the present owners.